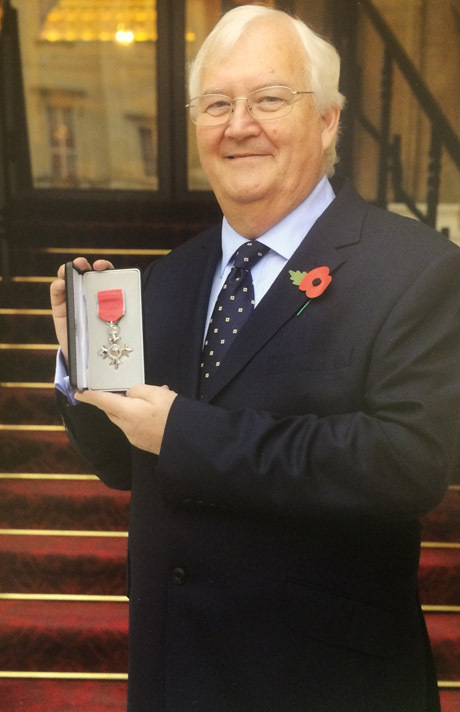 CEO Professor Barry Forde was presented his M.B.E. on Tuesday by HM the Queen at a ceremony at Buckingham Palace. The award, for services to Superfast Broadband in Rural Communities, was announced in June on the Queen’s Birthday Honours list. Barry Forde has been CEO and chief network designer of the non-profit community benefit society Broadband for the Rural North Ltd since co-founding the organisation in 2011. The very select occasion, with pictures tweeted by @BritishMonarchy also included the presentation of a CBE to actor Benedict Cumberbatch. Barry says it was a fantastic occasion and he accepts the award on behalf of all the volunteers, without whose dedicated work the network could not have been built.